An elegant antique pewter mounted glass decanter, believed French and dating from the 19th century. This tall stylish decanter has a yellow tinted glass body set within a pewter mount. 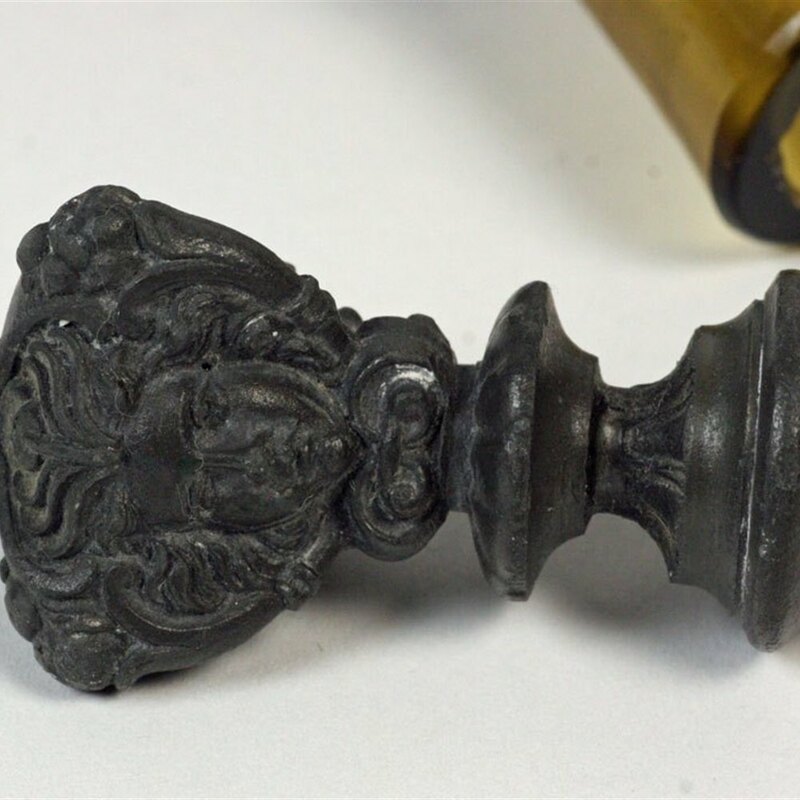 The mount is modelled in neo gothic and classical style moulded in relief with putti and masks and is mounted with a pewter topped stopper. The decanter is not apparently marked but believe it is continental and probably French.